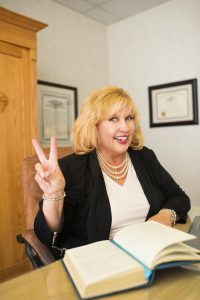 Paula Kidd Casey–known as The Lawyer of Attraction™–has been a practicing family law attorney for over 39 years and was one of the first women in the midwest to open a private law firm. Like many driven entrepreneurs, Paula spent years pursuing money and success at the expense of her health and peace of mind.. After realizing her professional life was not bringing her joy and fulfillment, she spent years trying to define her passion and then searching for ways to achieve it. Thousands of hours of study later, she discovered a life-changing theory, The Natural Laws of the Universe. Today, she lives her passion based on these magical, yet scientifically proven, concepts.. Paula is a sought-after speaker and consultant for successful professionals, individual searching for more joy, and everyone who might be seeking greater balance, happiness,and peace in their lives, but most importantly, who are seeking a path to realizing their own passion and reigniting the magic. My name is Paula Kidd Casey, The Lawyer of Attraction™. For 35+ years I was a successful family law attorney, and for a long time that was my passion. Like many driven entrepreneurs, I spent years pursuing money and success at the expense of my health and peace of mind. Though I became successful in this career, I knew something was missing. I wanted the answers to my questions– Who am I? Why am I here? What does “Authentic Fulfillment” look like?. The Universal Law of Abundance. Now I’m living my passion, being my authentic self. I get to travel the world as a sought-after speaker. I get to meet and share these concepts with anyone and everyone, from successful professionals to high school dropouts, who are ready to demand from life greater balance, happiness, peace, and most importantly–magic. Welcome to the Law of Attraction.